The nearby downtown area features several shops, a variety of restaurants and movie theatres. There are three restaurants within walking distance of the hotel. Like to golf? The Three Crowns Golf Club is within one mile. A walking trail is adjacent to the hotel. The free hot breakfast, served from 5 a.m. to 9:30 a.m., features biscuits and gravy with scrambled eggs, bacon or breakfast burritos. Waffles with various toppings, a variety of breads, doughnuts, pastries, instant oatmeal and cereal are offered daily. After a long day, work out in the hotel's exercise room with treadmill, bicycle and a Selectorized weight gym. Guests will also enjoy discount passes to the local YMCA and discounts at the adjacent restaurant for breakfast, lunch and dinner. 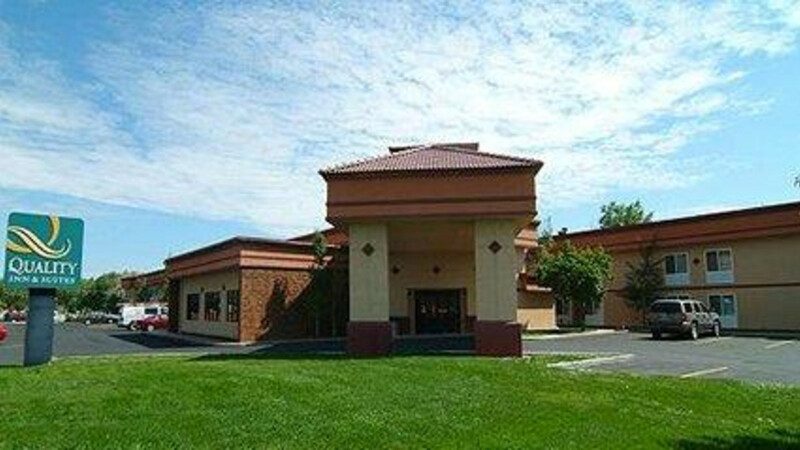 This Casper, WY hotel provides business travelers with conveniences like free Wi-Fi and wired high-speed Internet access, voice mail and access to copy and fax services. There is also computer printing access from rooms (pick up at the front desk) and a wireless hot spot in the lobby, breakfast and meeting areas. Take advantage of the business center with free high-speed Internet access and printing capabilities. There is 1,000 square feet of meeting space available to accommodate most events and business functions. In addition, the hotel is walking distance from a total of over 100,000 square feet of meeting and convention space. All guest rooms have soundproof walls, Quality Sleeper by Serta® beds and cable television with pay-per-view movies and free HBO. Refrigerators, microwaves, hair dryers, irons, cribs and rollaway beds are available upon request. Business king rooms and the private two-room suites both have luxurious and relaxing leather recliners and extra-large desks. The two-room suites also include refrigerators and microwaves, and several have whirlpool bathtubs. Try the Quality Inn & Suites hotel once and we're certain you'll want to stay with us every time you visit the Casper area. Our friendly staff will do all they can to make your stay as relaxing as possible.